HERE IS A BEAUTIFUL FACTORY DECORATED GDA LIMOGES PITCHER FEATURING CLUSTERS OF PINK ROSES AROUND THE TOP AND BOTTOM. THE ROSES ARE HAND PAINTED BY THE MIXATION TECHNIQUE AND ARE GORGEOUS! 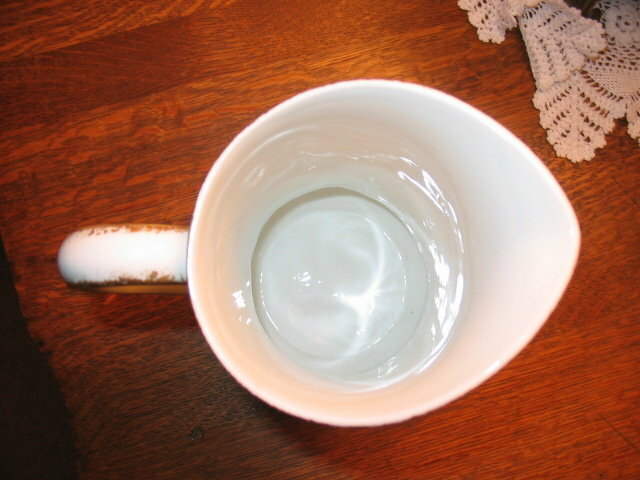 THERE IS GOLD GILDING AT THE BASE AND ON THE RIM AS WELL AS THE HANDLE. GERARD DUFFRAISSEIX AND MOREL TOOK OVER THE CHARLES FIELD HAVILAND COOMPANY IN 1881 AND CONTINUED TO USE THE RED DECORATING MARK. MOREL LEFT AND IN 1900 ABBOT BECAME A PARTNER AND THE NAME AND MARK "GDA" WAS USED. NO CHIPS CRACKS HAIRLINES OR REPAIRS. MINIMAL GOLDWEAR ON THE RIM AND HANDLE FROM NORMAL USE. 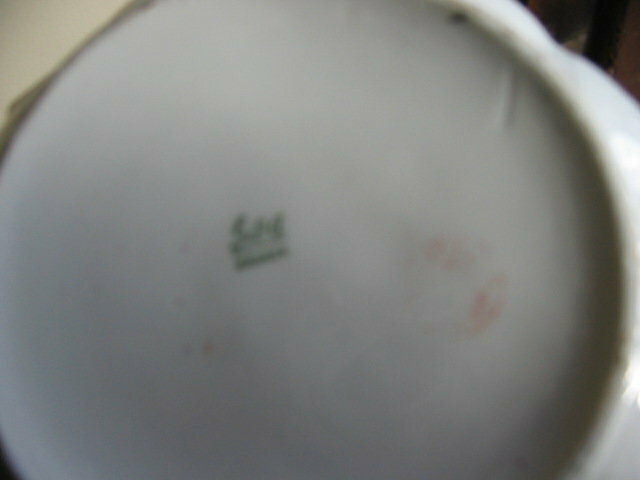 GDA LIMOGES MARK 1 IN GREEN UNDERGLAZE AND CHARLES FIELD HAVILAND MARK 3 IN RED OVERGLAZE. 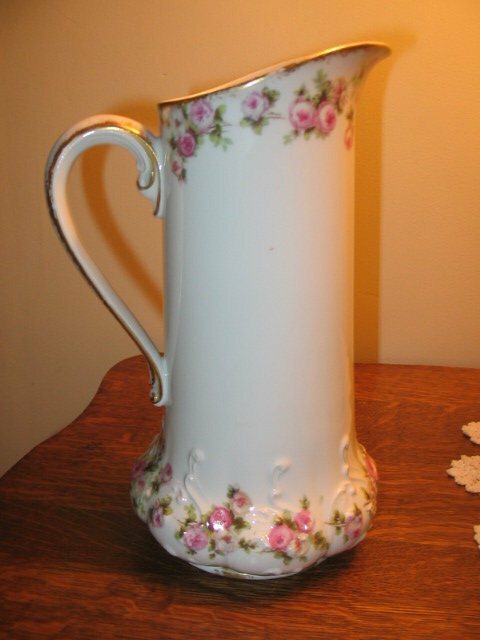 Items Similar To "LARGE LIMOGES PITCHER WITH PINK ROSES"